D7 - Doll's Tea Set; Includes:- 559 - Cup, 560 - Saucer, 560C - Milk Jug, 560S - Sugar Bowl, 560T - Teapot and 560TT - Tray all boxed. "Doll's Tea Set, complete on tray. Eleven pieces in assorted colours. 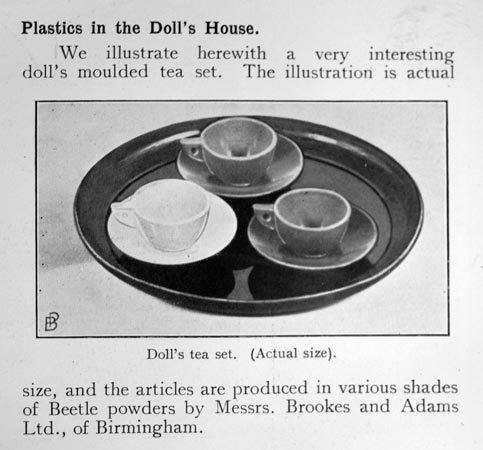 2/6"
A D3 - Doll's Tea Set illustrated in British Plastics & Moulded Products Trader, 1932. 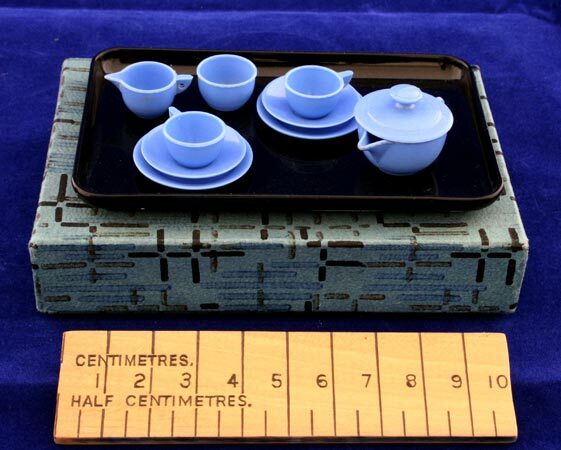 "Three miniature Cups and Saucers, on 2¾in. dia. tray, in assorted colours. Novel and attractive. In fancy box. 1/-"
And finally, thanks to Jean Sanderson, the final proof! 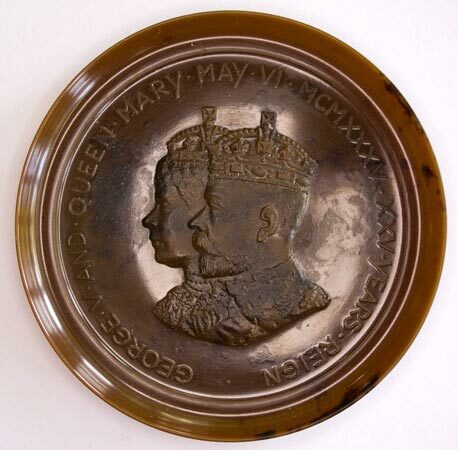 The interesting thing here is the 562-Tray which is a commemorative version, commemorating the Silver Jubilee of King George V and Queen Mary in 1935 (see below). 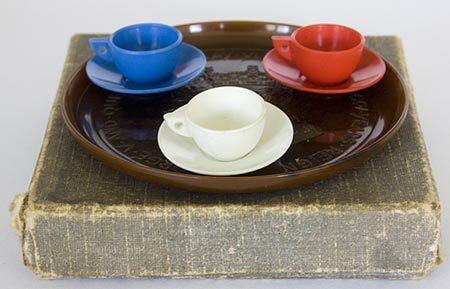 Note the colours of the cups and saucers - Red, White and Blue! 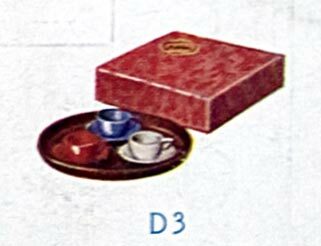 A close-up of the 562-Tray from the tea set illustrated above.